You are lucky! Really! 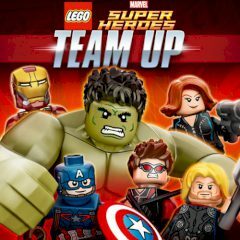 Cause in this game you have a great chance to play with the Lego characters and fight like the last time. Do you think that it is so easy? Maybe, but your opponent is quite strong. So, have faith in yourself and become the real hero! This is your chance to play with your favorite characters and show us all your fighting skills. In this game you have to fight with all the heroes of the new Marvel Avengers. Fight against different enemies with all five different avengers. It is so easy to control, just click on one to swap, two to jump and three to fight. Are you ready for the most important fight in your life? Then play this game and be the best one hero! Sink into the amazing world of Lego stars and you will have so much fun while playing it!